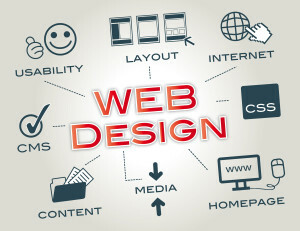 A career in web design is pretty hot at the moment, meaning that a lot of people like to be Web designers. However, a lot of people give up when it comes to sticking to this career because they are not in the know of these tips. Here are the ultimate tips that will help you to become the very best in the world of web design, but in addition to that you must remember that if you want to stay that way you will have to work on your achievements and progress constantly, as well as follow these five basic principles. 1. Find Inspiration Finding inspiration doesn’t always come easy to web designers. If you want to be successful at what you do you have to remember that you don’t have the time to let inspiration find you, instead, you have to learn how to find inspiration. In addition to that, at moments when you find it utterly impossible to find inspiration for your next web design project, you have to have land strategy that will help you artificially get inspired. Although the entire process might seem a bit artificial or plastic, it’s still better than no inspiration whatsoever at all. 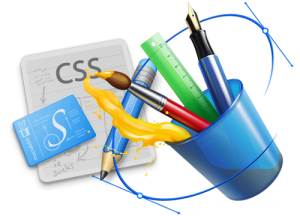 Being successful at web design also requires that you have an already established portfolio. A well-developed portfolio will show your clients what they can expect from you, but it will also keep you in check with your progress. I would advise you to work constantly on your portfolio as much as for your clients as for yourself. In addition to that, a portfolio will show how much dedication and effort you are willing to put in your work. Another aspect of being a web designer is that you have to work with clients and respect the demands. As you know, working with people is usually very difficult. Even though web designers usually sit behind their computers, they are ultimately working with people, with their clients who full of, well, all sorts of demands. Working with clients requires a lot of patience, but in addition to that it’s always a good idea to work on your client base and try to expand it. It doesn’t matter whether you work for a big company, or if you are freelance web designer, establishing contacts and your own personal client base is important if you would like to progress in the world of web design. 4. Find A Unique Expression Of course you can find a template that you will use, but the best web designers tend to be true artists with their own unique expression that is understandable to many, but which is also recognizable. You have to work on your web designing skills in order to be able to find this expression and use it in your work. 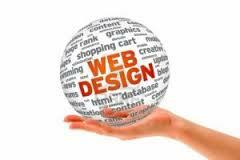 At the very end I should also mention that asuccessful web designer is usually a Jack-of-all-trade. In other words, if you want to be a successful web design you should also be able to do all sorts of things: communicate with people, advertise, manage your finances and many other skills that are worth acquiring you should always strive to learn and acquire. Keeping up with trends is definitely what you should pay attention to if you are dedicated to becoming the best at web design. You have to have in mind that the market is constantly changing, that clients are constantly thinking of new demands, and if you want to be successful at what you do you have to learn how to use these things to your advantage. The first step to becoming a successful web designer is learning more about the current trends. Not only that this will help you keep up with the competition, but it could also be your breakthrough when it comes to finding work, keeping clients or acquiring new clients. Here are just some of the current trends that are commonly used in web design, and that you should definitely be familiar with. 1. Slideshows If you want to keep up with the competition make sure that you include full screen slideshows in your website designs, as they are very much popular at the moment. Slideshows even resemble a movie and their constant replacement gives you a sort of cinematic feel while going through the website. It’s almost like going through the pages for book, it works very well on all sorts of different gadgets, as well as screens no matter what their size is. In addition to that, slideshows also make homepage feel accessible and user-friendly. Among other current trends, you can also find the inclination to make galleries and media shows prominent, so that the visual is put forward, while the text and buttons are minimal to non-existent. The minimalistic approach is currently in high demand when it comes to web design. It is important to keep your designs simple and easy to use, but it’s also important to make them user-friendly and give them a casual feel. If you minimalize the content, and focus on the visual, you are choosing to accentuate visual content and experience, rather than anything else. In such approach, it’s also important to create an organic flow which will help you arrange large photos in slideshows. This organic flow is what distinguishes great web designers from mediocre web designers. In addition to that, it also shows your creativity as a web designer. It shows that you don’t conform to strict rules, but rather create your own little distinct world. In order to be successful at it this, make sure that you create that world and make it the natural and as easy-going as possible. This is precisely why you should try to recreate the organic flow in your websites. As it has been previously mentioned, the current trends usually focus onand emphasizing seeing experience, and more importantly, emphasizing visual experience which should be natural and have an organic flow and an organic feel to it. Furthermore, this also implies that the rest of the content will be minimalized, in order to conform to the cinematic approach that you have choose to use. This also means that if you want to follow the current trends you will start creating ghost buttons – buttons which are not really there, as well as using the clean and minimal design. You don’t want to damage the scene you have set with any sort of unnatural buttons or design. You want to try to keep your design as natural, as simple, as clean and minimal, and as cinematic, so that you are able to tell your story in pictures and really focus on the experience rather than clicking on tabs and buttons and whatnot. These are things of the past, and if you want to keep up with the current trends you should give a ghostly appearance to your website. New to blogging? These are the best blogging platforms for you.